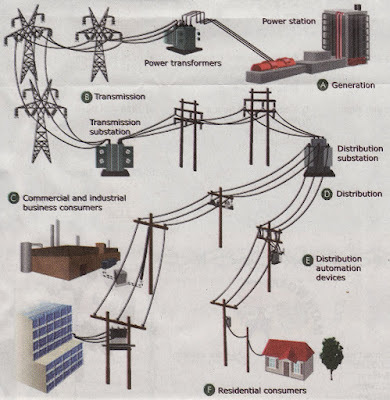 It connects all the power stations in our country. It is equipped with circuit breakers to automatically cut off the circuit if a short circuit occurs. This high voltage is supplied to heavy industries like vehicle manufacturing factories. This is supplied to light industries like electronic factories. The voltage to housing estates is 240V.